The Nigerian National Petroleum Corporation says it has reduced cash call arrears owed to international oil companies, its Joint Venture partners, by $1.5bn. The corporation has cash call arrears of $5.1bn. Group Managing Director of NNPC, Dr Maikanti Baru, said this at the 12th National Conference of the Nigerian Association for Energy Economics/International Association for Energy Economics,in Abuja on Monday. He also disclosed that 783 million Standard Cubic Feet of gas per day was flared in 2018. Baru said that 2018 marked the second year without the corporation incurring any cash call arrears. 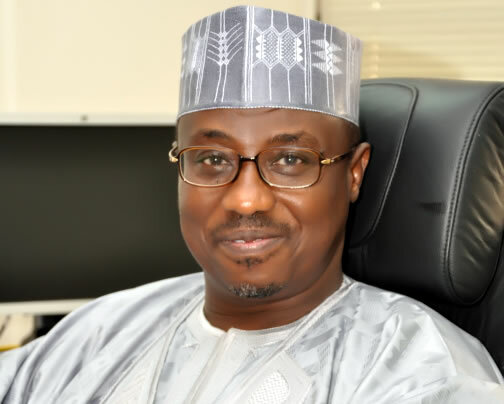 Baru said, “So far, we have repaid over $1.5bn out of the $5.1bn cash call arrears to date, a development that has not only restored the confidence of international oil companies, IOC, JV partners, but has also led to improved reserves growth and crude oil production. He said that the average of 783 million SCF of gas per day was flared in 2018 was 2.9 per cent higher than 761 mmscfd supplied to the power sector within the same period. According to him, in 2018 the national average daily gas production stood at 7.90bn Standard Cubic Feet, representing an increase of three per cent above 2017 average daily gas production of 7.67bn SCF. He said, “Of the 7.9bn SCF per day produced in 2018, an average of 3.32bn SCF per day (42 per cent) was supplied to the export market, 2.5bn SCF per day (32 per cent) for re-injection/fuel gas, 1.3bn SCF per day (16 per cent) was supplied to the domestic market and about 783 million SCF per day (10 per cent) was flared. “Domestic gas supply capacity was marginally stable at about 1700 million SCF per day, with an average of 1.3bn SCF per day actually supplied to the domestic market. This is due to power evacuation challenges resulting from frequency management caused by rejection of allocated load by distribution companies as well as transmission line constraints. He added that the automation of its crude oil marketing operations had helped remove the opacity in the management and sale of Nigeria’s crude oil grades.